Allegheny Region is hosting their annual Watkins Glen driver education weekend on Saturday and Sunday May 5-6,2018. Allegheny Region driver education events always fill up fast, so register early. We would hate to see you on the wait list! 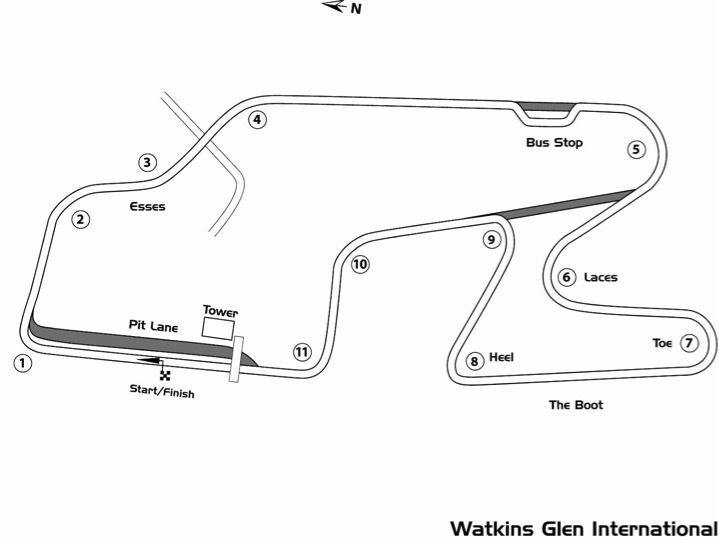 Watkins Glen International (WGI) is located in the Finger Lakes region of upstate New York. Since the opening of the circuit in 1956, WGI has hosted innumerable sports-car racing series races including being the home of the United States Formula 1 Grand Prix from 1961 through 1980. WGI is truly an iconic road racing track that enjoys a well-deserved reputation as being one of the finest road circuits in the world. ARPCA events utilize the full 3.4 mile “Grand Prix” circuit. Make plans to drive your car on the same track as all of the great road racers throughout history have! ARPCA is a very active group both on and off the track. Our Spousal Auxiliary will be coordinating off-track activities for those interested in traveling to antique shops, wineries and other attractions unique to the Finger Lakes region over the course of the weekend. Participant Guide: (The Participant Guide will be posted two weeks prior to the event) Please review these materials before you arrive at the track. We prepare the Participant Guide to answer the most frequently asked questions. The Participant Guide will provide you with specific details about PCA safety requirements, registration information, directions, access times, etc.